Only 54 in stock. Additional quantities will deliver at a later date. 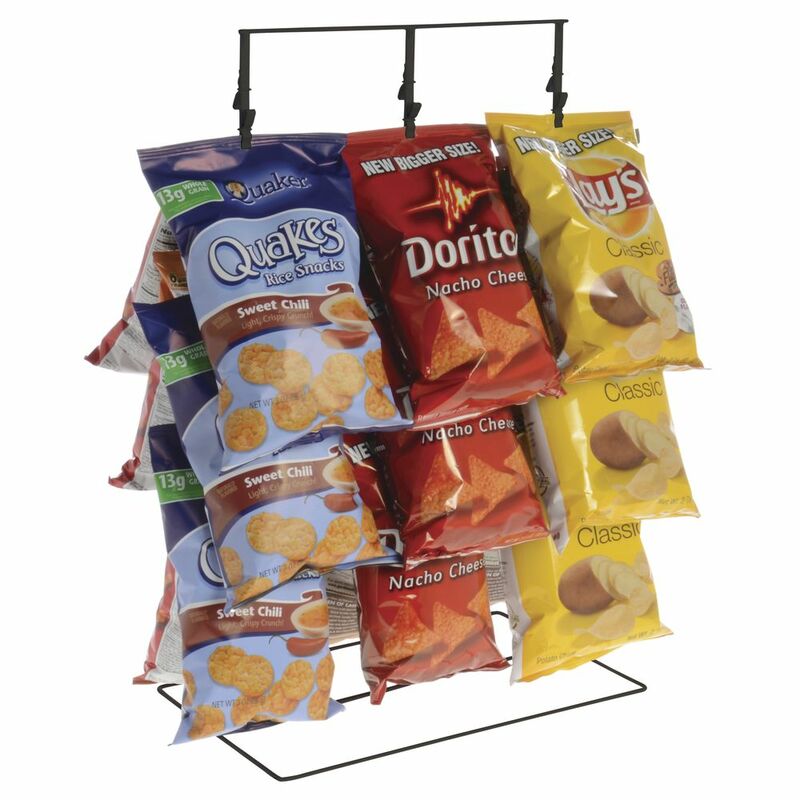 Keep snacks and other items from getting crushed while still making them clearly visible for sale with this black wire clip rack. Smaller sized so it fits perfectly on counter tops to save space. The countertop rack has three rows of clips for customer convenience.